Trekking poles have been a popular hiking tool for a long time, and their popularity is only increasing as increasingly more people find themselves on the trail. 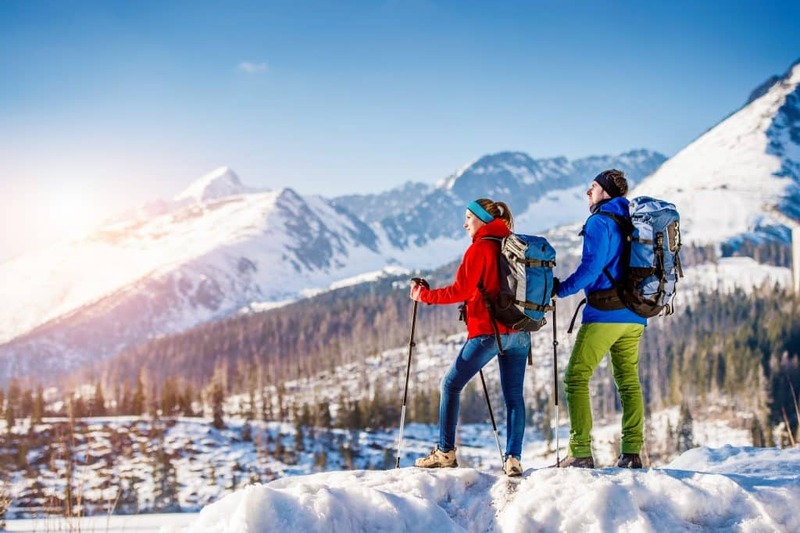 The benefits of using trekking poles have been proven and trekking poles can ease the burden of a long hike, so it is important that you choose a pair of poles that is built in a way that caters to your needs. When looking through the multitude of trekking pole options available on the market, you will notice that they come in different build varieties such as “fixed”, “folding”, and “telescoping”. These terms refer to whether or not the trekking poles can be broken down for smaller storage, if the height of the trekking poles can be adjusted, and if they can even be broken down in the first place. Let’s break down the three terms. 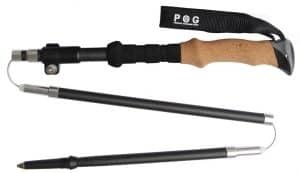 Primarily, “fixed” trekking poles offer a simple design in comparison to other options. They do not need to be assembled and you can simply grab the fixed-length poles before heading on the trail. 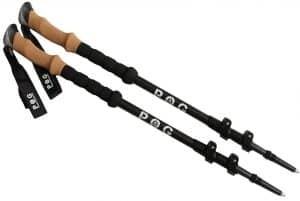 These trekking poles also have fewer moving parts than telescoping poles or folding poles, so they are less likely to break and can offer more durability. Also, because fixed-length poles are typically less complex, they can be lighter than other varieties of poles. Finally, fixed trekking poles can often be less expensive in comparison to telescoping and folding trekking poles of similar build quality. The drawback of fixed poles is that they do not offer the height flexibility of other varieties and do not pack down to a more manageable size when not in use. Telescoping trekking poles are collapsible like a telescope. This means that, by virtue, they are adjustable. Not only can their length be adjusted to match your height, but they can also be adjusted to adapt to differing terrain. This is great for people who do not want to strap things to the outside of their backpack as telescoping poles can often fit inside the bag when collapsed. However, because telescoping poles have additional components, they can be slightly heavier than fixed-length poles. The additional weight, however, is often insignificant, and the benefit from the increased convenience of the design often outweighs this drawback for the average hiker. The adjustability of the poles also means that telescoping poles, while still durable, are not as durable as fixed-length poles. Finally, the extra materials required to manufacture telescoping poles minorly raises their cost. Foldable trekking poles are much like telescoping trekking poles for what they offer in portability, but they fold instead of collapse. They can be folded down when not in use, which allows the poles to take up less space inside of a pack. These poles can fold because an elastic shock cord is attached to the inside of the pole. The pole is then divided into two or three parts that can be separated from one another. The separated pieces are attached together with the internal shock cord, but the cord is slack enough that the poles can be folded down into a “Z” shape. The folding mechanism of the poles slightly increases their weight and makes the poles more susceptible to damage. Now that you know what these different build types of trekking poles have to offer, you can make a more informed decision on which trekking pole is right for you.